These Guidelines were developed to create a set of guiding principles for placement practice to promote quality placement experiences. The guide will be useful for CLD Students, Placement Agencies and Educational Providers. It acknowledges the diversity of practices by considering what constitutes a CLD placement and defines the roles and responsibilities of everyone involved. Practice placements within programmes of professional study are very important in order to ensure that the programmes fully prepare students for practice. 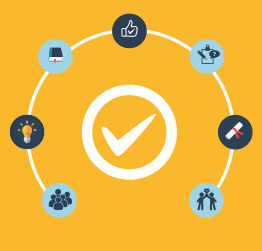 Through the Approvals process, the CLD Standards Council continues to protect and promote the practice placement model. 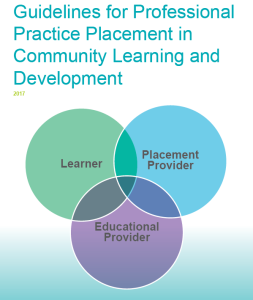 Placements require a strong partnership between learners, the field of CLD practice, and educational providers. The need for a guide to support the field in their work with students was identified by the education providers. Building on the well-established placement system of strong co-operation and exchange these guidelines were developed by the Professional Placement Review Group comprising of practitioners, students and academics.